The heart and "want to" of Kakhem Sahib. The look of a champion - Kakhem Sahib. Kakhem Sahib is a three-time Reserve National Champion with numerous Top Tens. He's produced National Champions in Working Cow and Cutting and regional champions in Working Cow, Cutting, Hunter, Halter, Western Pleasure, Dressage and Endurance. How's that for diversity? Half-Arab Kakhem Sahib son winning at regionals. 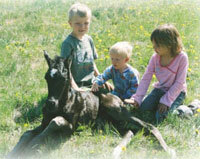 At 15.1 Hands tall with plenty of leg, he transmits size and substance to his foals. He also passes along his gorgeous, expressive head and a long, shapely neck. This allows his foals to move from halter wins and transition smoothly to under saddle success. The Klug kids with Smart Little Khemo. While the Arabian working western classes would seem like enough of a challenge for most Arabians, Julie is proud to note her Khemo's foals are heading for the "big time." Her black half-Arabian gelding One Smart Little Khemo is debuting in NRCHA reining shows with Janie Peters of JP Quarter Horses. He's been getting raves from his trainer and those who've seen him work. 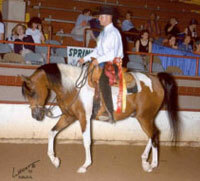 One Smart Little Khemo is proudly owned by Tracy Moseley, who will also be showing a purebred Arabian in open reining. Look for him at the Nationals and Scottsdale 2012. Another Khemosabi grandson is with an NRA trainer in Texas, so it's clear that the Khemosabi line continues to break down barriers around the notion of what Arabians can accomplish. Friends forever - Kakhem Sahib. Photo courtesy Julie Klug. 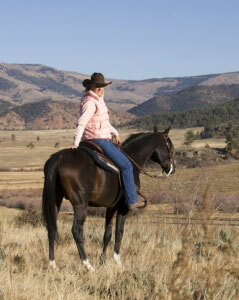 These are not horses you have to retire at age 12 or 14—instead, try doubling that. 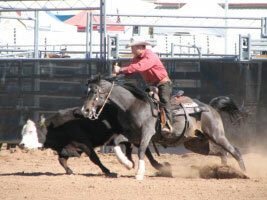 Kakhem Sahib won his 3rd Reserve National Champion Working Cow Horse title at age 17. Unsurprisingly, he's planning to return this year at age 20 to show the younger horses how it's done!